16, 1916. Aged 19 years. To the brother we loved so well. 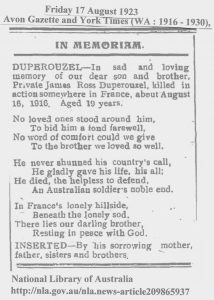 An Australian soldier’s noble end.